“East Meets West” Is the name our next dining adventure where we will celebrate food from the far east. 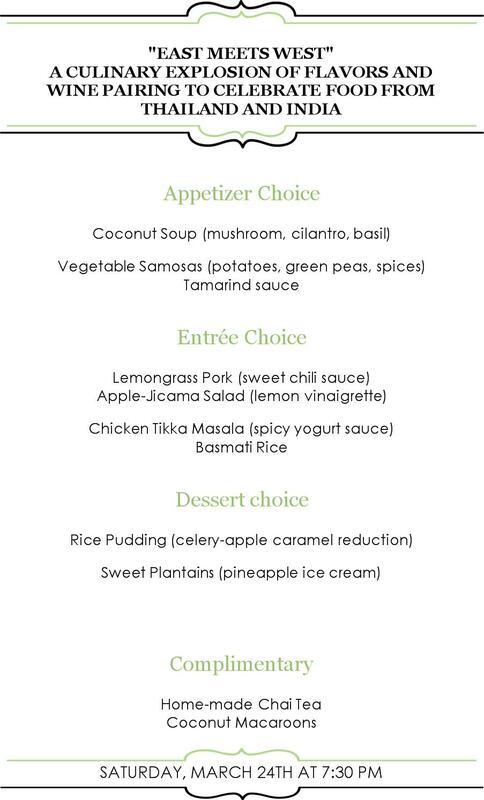 This 3-course dinner and wine pairing will focused on the refreshing aromas and magical flavors of two of the most popular and exotic gastronomy today, India and Thailand. As an enthusiastic chef I’m proud to reproduce these flavors to appease the appetite of all you foodies out there.